Buying a House after Divorce? Love doesn't last long for many. After a while, it fades away often resulting in the end of marriages. Separation or divorce can be a quite a turning point in one's life. In this process, the house the couple resided in is either sold out or left for either of the two to keep. It’s bad enough to be losing the love of your life – even worse to be homeless. Now, what about the unlucky ex-partner who has to face the practical world with absolutely no roof or place to live in? In such case, buying a new home is the only natural course for you, but is it easy after divorce? Is it different after divorce than buying a home as married? Let’s find answers. In this article, we will guide you about how to buy a house after a divorce. Here are a few important things that need to be dealt with before moving into buying a house right after a divorce. Make Sure You Are Not Part of the Marital Mortgage Paperwork. If your name is still on the paperwork of the marital mortgage, that can be a bit of troublesome for you! Remember, that you remain liable for the mortgage as long as your name is on that sheet of paper. The house either needs to be sold or you have to withdraw yourself from it in order to release yourself from the contract. Either of the two divorcees is eligible to file for a bankruptcy even years after the divorce. And if the name of the person filing the divorce is still on the paperwork, the representative for the bankruptcy may have to force you to sell the house in order to make up for the losses. Even if you do not talk anymore, try to discuss this matter only and settle it soon. Sadly, in the end, it is mostly all about the money. Your income needs to be stable in order to qualify for the mortgage loan at an economical rate. You two have parted ways and are no longer under vows to help each other in poverty or wealth, or any of the other promises. Similarly, his riches are not yours anymore. It is never too late to put aside all your emotions and consider other ways to deal with your mortgage. Lawyer fees and court costs add up to the unavoidable expenses of divorce. Ask yourself this question, where do you see yourself in a few years from now? If you have a steady job and can afford a new home easily then purchasing it at this point sounds rather wise. But if your future plans involve moving to a different city or finding a new job then you might want to put your decision on hold. Do you have some cash reserves set aside to provide for the main up-front costs of buying a home? The typical expenditures that home buyer needs to consider include a mortgage down payment, money deposit, home inspection (no, you cannot eliminate this part either), you also need to manage the expenses of transportation and moving all your furniture and other essentials to your new place. Consider expanding your search, it will help you in making a better purchase decision and at a much affordable price. Start your search by find a professional real estate agent. Complete your research before completely relying on a real estate agent. Don't let your relatives or friends influence you into contacting a realtor. They might have good terms or other affiliations with him but you do not! He may not go out of the way for you like he did for them. Choose a realtor who provides you with paperwork and written agreements at every step of the way. Don't hesitate to ask any questions from your realtor; make sure you are completely satisfied with him and his work. Take your time, don't just pick the very first realtor who comes your way. Getting a mortgage pre-approval will in understanding your financial situation clearly and give you a good idea about what you can actually afford. 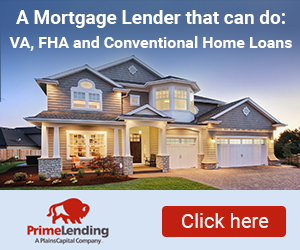 A mortgage lender will qualify you for a home loan accordingly once you've been pre-approved. This information can be used as a negotiating tool as well because everything will be decided after conducting an analysis of your credit scores. Divorces can be a very heart-breaking experience. It might take a while to adapt to such a change, however, the earlier you try to move on the better. Has this article motivated you into buying a new house after divorce? Follow the guidelines mentioned above and you will be heading towards the right direction. For when one door closes, another opens!